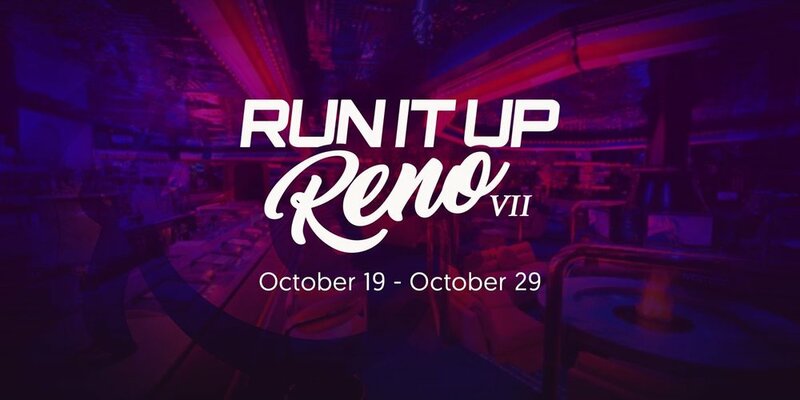 The final event of the Run It Up Reno series has just wrapped up and the Capri Ballroom is empty. That’s certainly not how the week went, though! Every single guarantee was surpassed, a new game was introduced and multiple tournaments broke prize pool records. To say this week was a success is a massive understatement. 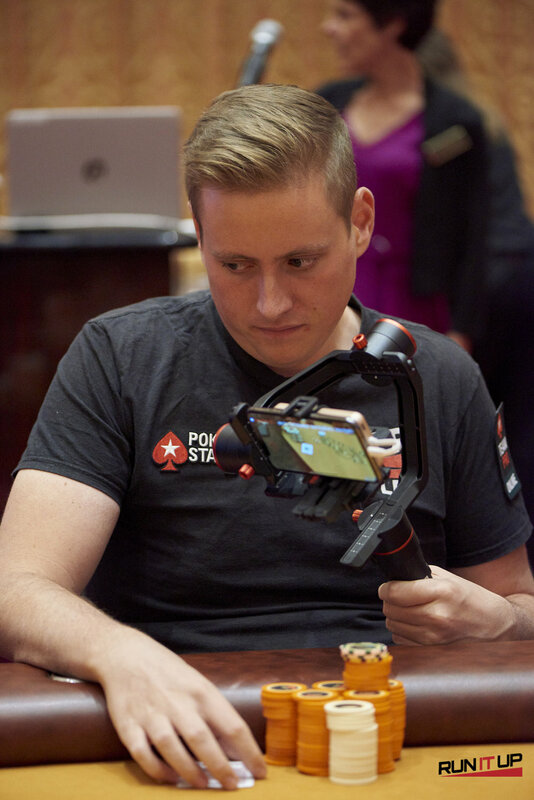 This was by far the biggest turnout that Run It Up Reno has ever experienced, showing once again that Team PokerStars Pro and Twitch streamer Jason ‘jcarver’ Somerville continues to do whatever he can to grow the game we all know and love. 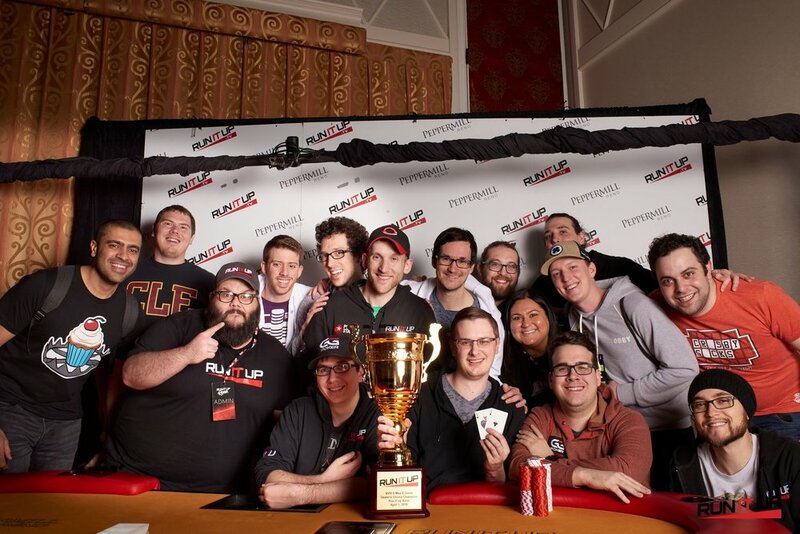 Players from all over the world have joined the Run It Up legion just to be a part of this most unique atmosphere that just can’t be described in any way that does it justice. 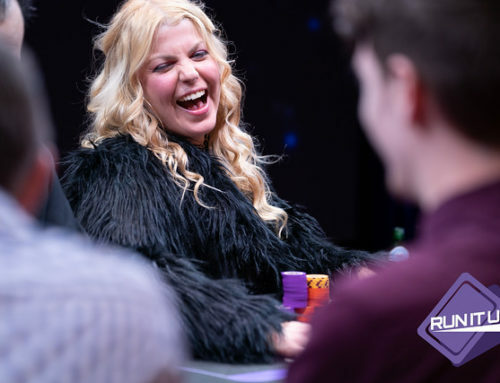 We were joined this week by Team PokerStars Pros and Twitch Streamers Jaime Staples, Kevin Martin, Chris Moneymaker, Lex Veldhuis, and Jeff Gross. The atmosphere surrounding the Twitch community was crazy, with all of them streaming on Twitch from the tables so thousands of viewers at home could follow along. This made the week interactive for those who couldn’t make it, and will most certainly entice new players to join us in October! The week was packed with 15 different tournaments, from No-Limit Hold’em to the very first Taiwanese Poker tournament, to satellites from morning ’til night. Before cards were in the air, many RIU Warriors gathered to support Team PokerStars Pro Jaime Staples and his brother, Twitch Streamer Matt Staples, as they weighed in for their #UltimateSweat weight loss/gain prop bet with Bill Perkins. The Canadian brothers put up $3,000 and were given 50-to-1 odds to get within 1lb of each other’s weight. On March 25th at 5:00 p.m. the Staples brothers weighed in at 188.3lbs each, on the dot, and celebrated with all of their supporters both in Reno and all day on Twitch. 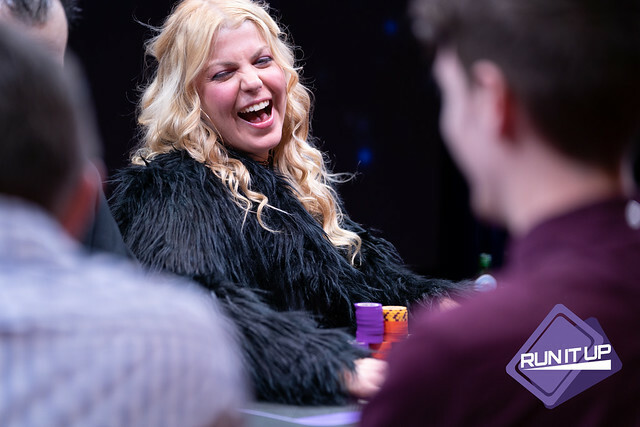 Poker action began with the $235 NLH Kickoff event and Somerville added 4 seats to the Main Event with $30,000 already guaranteed in the prize pool. Players took a quick break in the evening and enjoyed the tradition that is the Turkey Burger Welcome Party, with the line-up stretching from the delicious spread of food right to the opposite end of the room by the bar. The energy in the air was incredible, with players mingling and making new friends while catching up with old ones. 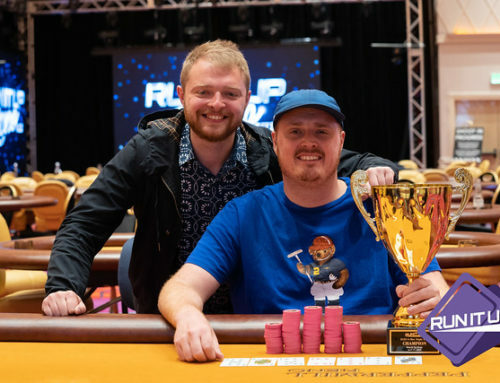 Multiple winners were crowned throughout the week, including Jaime Staples who captured his first piece of RIU gold after a six-figure score from his weight-loss bets. He also went on to final table the Main Event to finish in 3rd, for over $30,000 in total cashes. 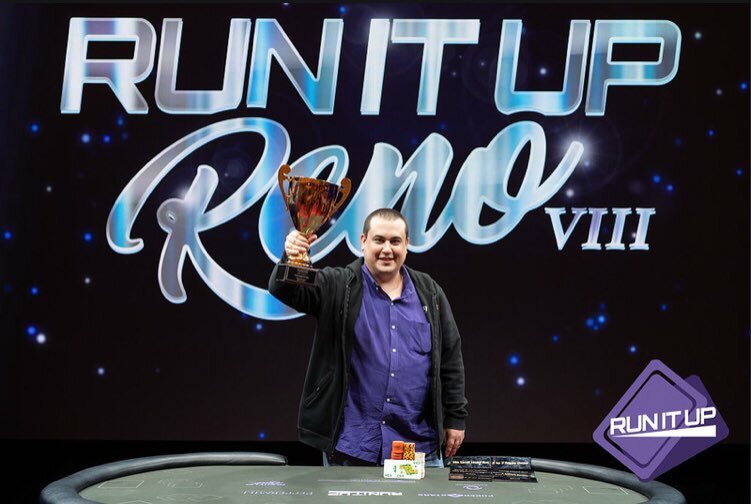 Jimmy Cappucci continued his streak of making history at Run It Up Reno, taking down a record-breaking fourth trophy after winning the $1,100 Thursday Thrilla for $18,680 and a whopping 10 bounties at $500 a piece. He was also the first player to get to 2 trophies, tied the record for 3 trophies and broke through as the trophy-leader once again. 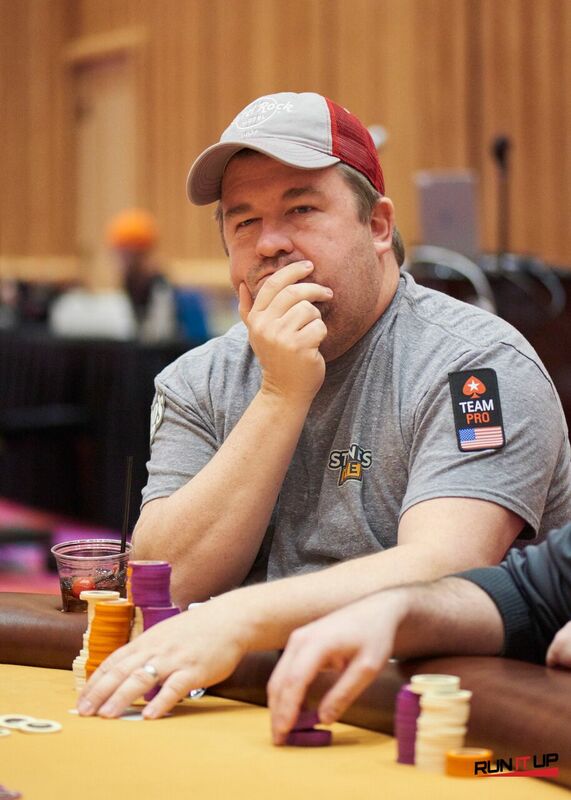 Cappucci made a run in the Main Event too, but fell short in 13th place after running ace-king into kings. 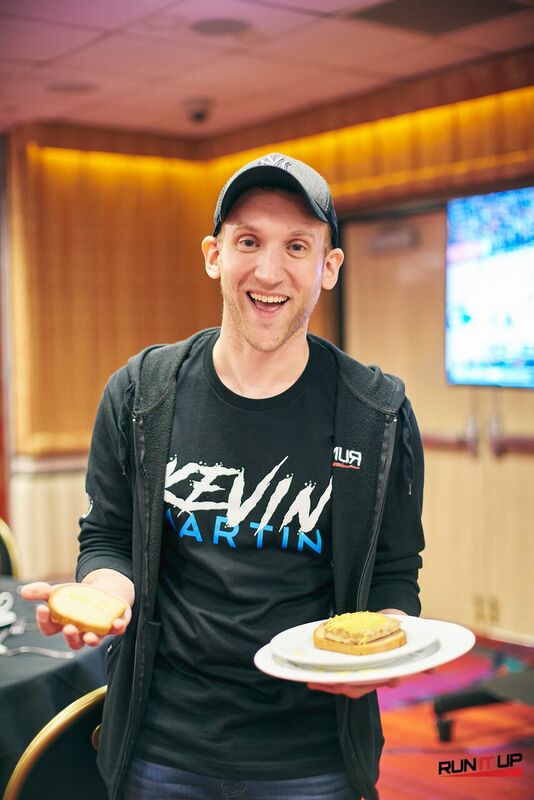 Jason Somerville made strides this week as well, making two final tables with a runner-up finish in the $125 H.O.R.S.E and 4th place in the $235 8-Game Championship. Jcarver may be focusing on the Twitch world at the moment, but he’s certainly still a force on the felt. Kevin Gerhart was another story this week, coming out of the gate at the start of the series with a lot of bad luck. 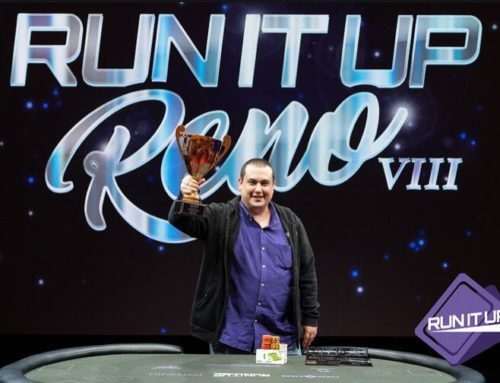 That turned around towards the end though, with a win in the $550 6-Max 8-Game Dealer’s Choice event for his first RIU trophy in five series in Reno. He pocketed $7,165 for the win. The $600 Main Event with $150,000 guaranteed was the big story of the week here in Reno. The biggest field came together in October 2017 with 424, and that was crushed this week with 500 entries for a prize pool of $261,900. Almost every player in town took a shot, and it was DJ Fenton who came back from an 11-to-1 deficit to take the whole thing down, pocketing $56,200 for his biggest cash! Finally, even more history was made with the first ever Taiwanese Poker tournament. 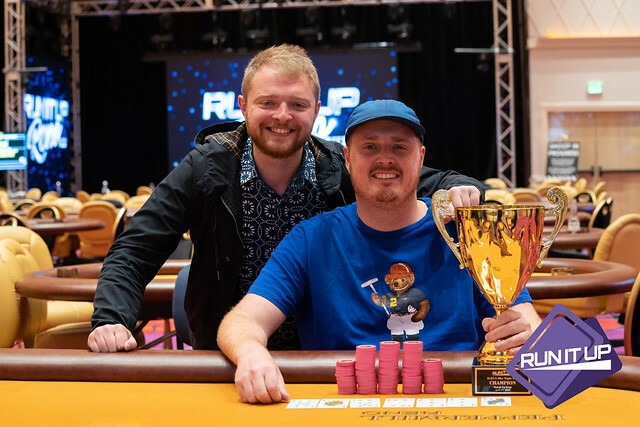 It brought in 81 entries and it was RIU Director of Operations Andre ‘Gretorp’ Hengchua who won his first ever tournament. This was a fitting end to an amazing week full of poker and memories to last a lifetime. If you missed any of the action, or just want to relive it again, take a look at the gallery, live updates and results below. See you all in October!